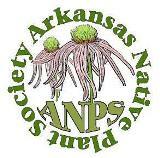 Join Botanist Eric Sundell and Sid & Jeanette Vogelpohl near Paris in Logan County. This field trip on the Vogelpohl’s 50-acre property will begin at 9:30 AM in Greasy Valley at 700 Johnson Road. Drive 4.5 miles on Highway 309 South from the Paris Square to Johnson Road and continue on this dirt road for a mile. In the Valley, walking will be in fields and woods and along a spring-fed glen and a creek. The trip will continue at the Vogelpohl’s house at 2480 Highway 309 South on Pine Ridge (one mile north of Johnson Rd/309 intersection) surrounded by plantings, woods, rocky glades and a nice view. Sandwiches and other items will be provided. Those planning to attend are asked to contact Sid or Jeanette at 479-963-1528 or svog1@centurytel.net by noon April 15th so that parking and food arrangements can be made. This entry was posted in Field Trips. Bookmark the permalink.